A good night’s rest on a camping trip is just as important as choosing the right meals and snacks. It will make the difference between having a great hike the next day and barely making it up the mountain. Lightweight sleeping bags are perfect for any backpacker and make sure to keep you warm without breaking the bank or your back. When backpacking to some of the world’s most beautiful places, you will need the right gear to come along with you. It is times like these that you want to be able to enjoy your location to the fullest. By contrast, it is NOT a time to be tired and sluggish. Let’s get straight to the point, we need a sleeping bag that is going to benefit our experience, not simply get us through it. We are going to see what the camping industry has to offer with comfort, budget and backpacking in mind. They have designed some of the best lightweight sleeping bags around to keep you comfortable for any camping trip. In order to choose the best sleeping bag for your camping trip, we must first understand how to read what the manufacturers write in their product description. The lingo that they use can be confusing to some, especially first time buyers, so let’s start with the basics. We begin with this for allergy sensitive and wildlife conscious campers. There are two types of insulation: Down and Synthetic. Down obviously comes from birds and are harvested multiple ways. While this is a very warm insulation, it does have an effect on allergies. Please make sure you do not have an allergy before choosing a down filled sleeping bag. Synthetic insulation by comparison, is completely manufactured. While it is not quite as warm as natural down, it does not have an effect on allergies and is not harvested from animals, making it a great choice for allergy sufferers and vegans. A sleeping bag’s temperature rating is not as easily explained. The temperature rating is the lowest temperature that the sleeping bag can be used and keeps the average person warm. Now, that is all well and good, but the average person is a very rare find. Most of us are either hot or cold natured. With all that being said, hot natured people, and most men, should assume that the temperature rating of 20 degrees will keep them warm at 20 degrees. Women and cold natured people should assume that a 20 degree sleeping bag will work at 30 degrees and above. Keep in mind your body and what it takes to keep you warm. Also remember that each person may need different rated sleeping bags for the same camping trip. Making sure that your sleeping bag will keep you warm is the best way to ensure that you are well rested for your next hike. 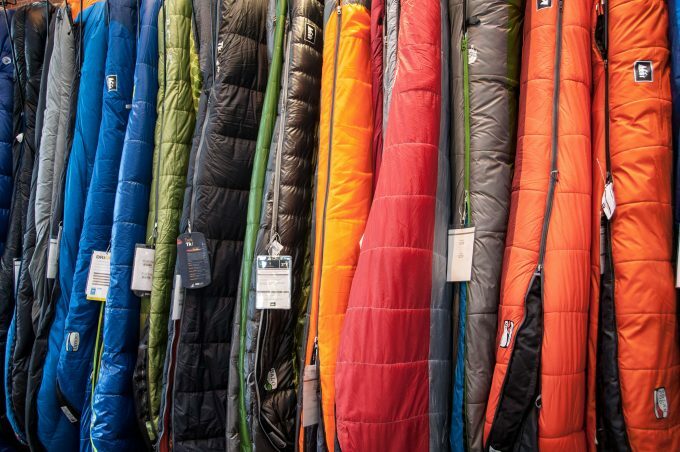 There are many, many types of sleeping bags. Each one has a different recommended use and you should keep in mind the best way to keep comfortable, warm and the lightest weight in your backpack. We are going to touch on a few of the most popular types of sleeping bags. They are also referred to as “mummy” sleeping bags. These bags are the most versatile sleeping bags, but also the most inefficient when it comes to weight. There are a lot of zippers and that adds extra weight. They are made very similar to a quilt. 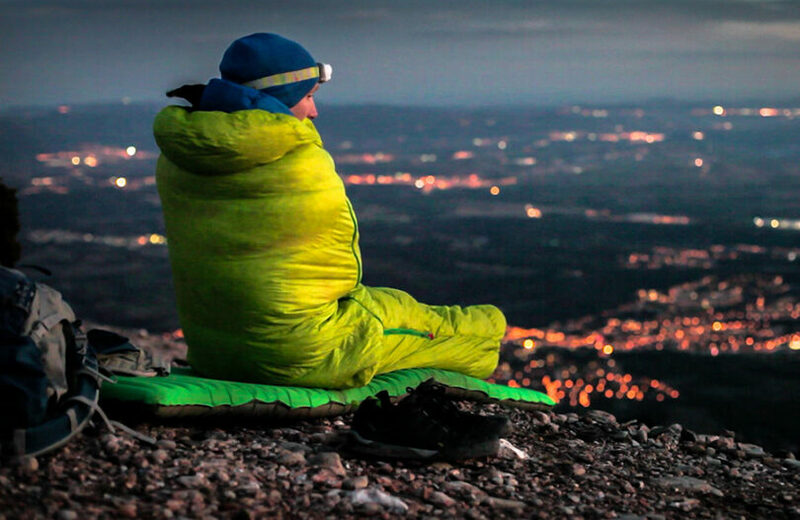 They are easily changed from blanket to an actual sleeping bag, and offer the best warmth for the weight. 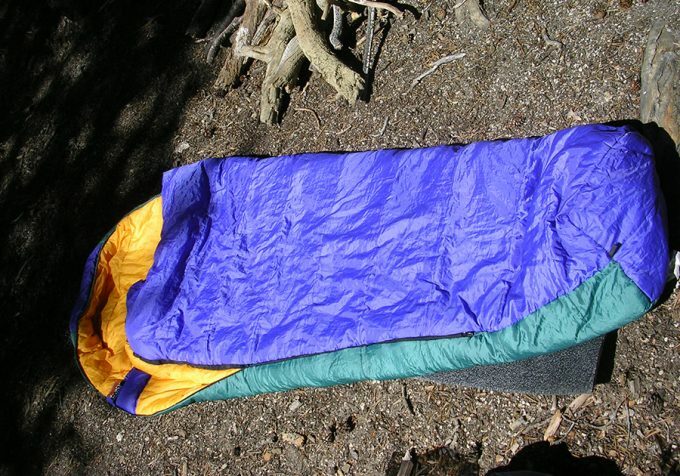 Quilt sleeping bags do not have zippers to weigh them down and dry faster than traditional sleeping bags. 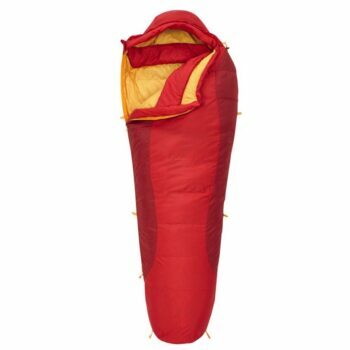 This style sleeping bag also offers a solution to a big problem for many campers; the fit. These bags have an adjustable girth, which makes it easy to fit around any clothing you will be wearing. These bags offer a few advantages to a more traditional style sleeping bag. Hoodless bags are usually more comfortable than hooded sleeping bags, but are not as heat efficient as their hooded counterparts. Wearable bags also offer an extremely lightweight option. They eliminate the need for a jacket, thus opening up space and doing away with extra weight. However, they may not be appropriate for colder conditions, as they are not as warm as an actual jacket or an actual sleeping bag. Once you have decided what kind of sleeping bag will suit your individual sleeping habits, it will be easier to narrow down the right sleeping bag for you. 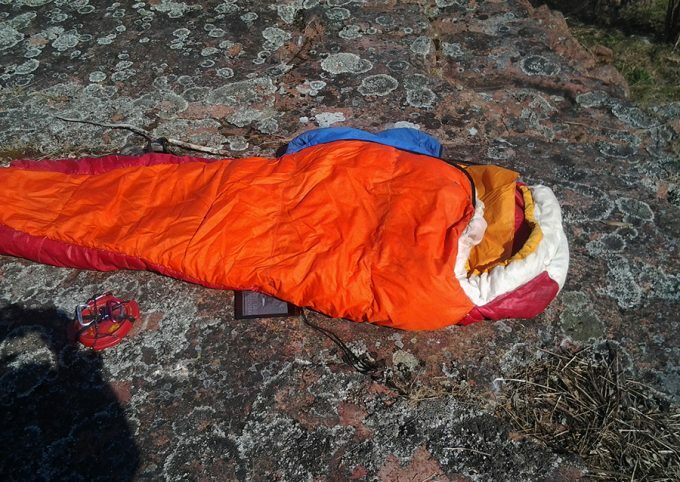 When considering a sleeping bag for backpacking always make sure and go with a lightweight sleeping bag. These are designed to be the best warmth and comfort with the least amount of weight. Now, let’s see what is available on the market today. Remember to keep the type of backpacking you will be doing in mind, as well as the length of your trips. These are important to consider because they may automatically rule out a bag before you even get into the details. When in search of the best sleeping bag that is light in weight, it is important to think about all the above mentioned features. Therefore, we have included all of those features so that your perfect choice comes much easier. 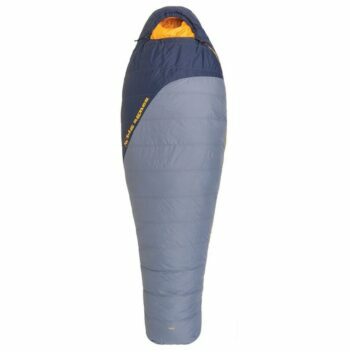 Description: The ALPS Mountaineering Crescent sleeping bag is a great, roomy, and a warm sleeping bag for any season. It is recommended for use down to 0 degrees for the average person; however, if you are cold natured you may want to use it at 20 degrees and up. 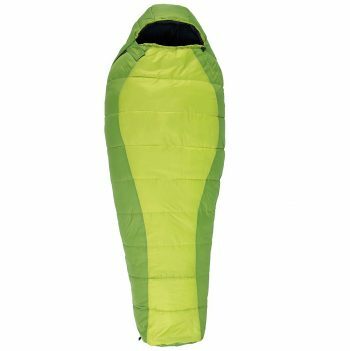 This mummy style sleeping bag offers a great deal of room for people of any size, but it is a bit bulky. The stuff sack is included with the product, but it will only compress so much. Because it is a tad bit heavy at 5-6 pounds, it may be best to use only on short hikes and backpacking trips. Overall, they did well with the design and have kept comfort in mind. With the amount of insulation, it is easy to keep warm on cooler nights with sleeping clothes on. A great bag for a great price, just keep space and weight in mind before buying. Related: Check out ALPS Mountaineering Tent Floor Saver which comes in multiple sizes and prolongs the life of your tent! Description: Sierra Designs have created a wonderful product with this sleeping bag. Sierra Designs Eleanor is a traditional mummy style bag and has lots of room for a roomy sleep. 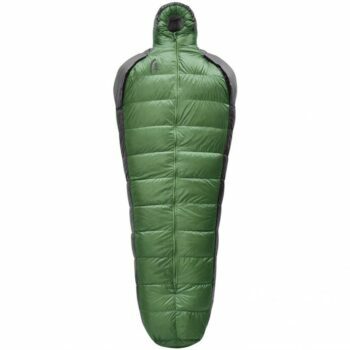 Even though this sleeping bag is of a bulkier style, it certainly does not reflect it in weight or compressibility. The entire sleeping bag only weighs 2 pounds and compresses into a small sleep sack fairly easily. The DriDown filling is a combination of ingenuity and natural materials. Sierra Designs uses duck down and coats each plume with hydrophobic material. This enables the bag to dry 33% faster than traditional down filled sleeping bags. It also means that if it does get wet, it still maintains its loft and will continue to keep you warm. I should add that this sleeping bag DOES contain down feathers. Please keep in mind any allergies. 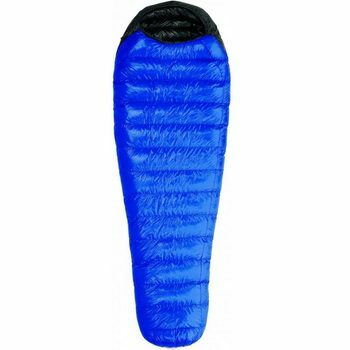 The EN temperature rating of this sleeping bag is 23 degrees, which is based on a man’s comfort level. However, the comfort rating is at 30 degrees for the average person. If you plan on camping in temperatures at 30 degrees or higher, this rating is great for you, but if you are cold weather camping, below 30 degrees, you may want to choose a bag with a colder temperature rating. This product has been reviewed well and overall consumers are satisfied. The most popular features are the ability to compress the bag into a small sack. In contrast, the least popular feature was the temperature rating. Some consumers took the bag in camping conditions all the way to 23 degrees and were not comfortable. Those backpackers that chose warmer conditions were completely satisfied. Super light, comfortable and durable. Related: Take a look at High Sierra Wheeled Duffel Bag with Cinch Sack which is a great addition to the hiking gear! Description: Big Agnes has been around for a while and the Spike Lake is one of their newest products. It is designed to be warm, lightweight and durable. It is perfect for any backpacker that is ready for their next adventure. The 600 DownTek filing offers a 15 degree temperature rating by the company. This should be comfortable for most men and a great option for women down to 25 degrees. Included in its features is a fitted hood and a zipper and collar that are designed to keep the wind out. Both of these features help keep as much heat inside the bag as possible, making it perfect for camping in cooler conditions. Big Anges has also added exterior loops to this bag. Even with the DownTek, hydrophobic down, technology, it is still possible for the bag to get wet, and it will still need to dry. Having the exterior loops will make it easier to hang up outdoors to get it as dry as possible as quickly as possible. The Spike 15 is a great bag, and has all that you will need to keep you comfy and warm on your next hiking adventure! Related: Therm-a-Rest Z Lite Sol Mattress can be a great addition to this already good sleeping bag. It will keep you warm and comfy. 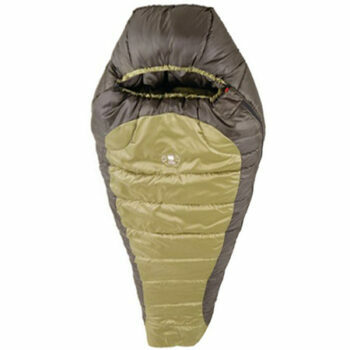 Description: Western Mountaineering has made a great product with their Ultra-Lite, mummy style, sleeping bag. Western Mountaineering UltraLite has a temperature rating of 20 degrees AND weighs less than 2 pounds. The size measurements are spot on and although it is a little narrow, for heat efficiency, it even works for side sleepers. When the time comes that it gets wet, it will take longer to dry than its hydrophobic down counterparts. Being made with down is not a bad thing. Consumers do rate this bag to do exactly what it claims to do: Keep you warm down to 20 degrees. There have even been a couple of users that have pushed the limit below the temperature rating by several degrees and, although they were not toasty, they were kept warm inside the bag. The nylon taffeta lining makes it possible to stuff the bag down to a size of 7 x 13 inches and compresses easily. Some consumers have suggested that the bag MAY tear or rip. Do not worry; Western Mountaineering has that covered with a lifetime guarantee for all of their products. Based on everything that has been said about this company, they are more than pleasant to work with, which definitely helps when buying their product. The Ultra-Lite is a great bag and definitely delivers. This bag should be placed at the top of your consideration. It takes some time for it to dry. Related: Make sure to check out Sea To Summit Premium Silk Travel Liner which increases the thermal performance of your sleeping bag. Description: Coleman has been known to deliver quality products for a great price. The Coleman North Rim is a great choice if you have the space in your backpack to carry it OR if you are car camping. It does not stuff down to a small size like most sleeping bags designed for backpacking, but this product can save you a lot of money. Coleman suggests that this bag has a temperature rating 0 degree F and seems to deliver. There were no consumers that had complaints about this bag, keeping them warm, even down to the single digits. It is quilted and offers a drawstring hood to keep in the warmth on cold weather camping trips. Out of all of the bags, listed to this point, this bag has the lowest temperature rating that seems to be accurate. This bag is not easily compressed and does weigh quite a bit. While the company rates the weight as 3.75 pounds, some consumers say that it is more likely to be a 5-6 pound bag. This is not ideal for backpacking, not impossible, just not ideal. If you have a large backpack, or can find a way to carry it efficiently, and have a tight budget this is a perfect bag. Honestly, ` at $39, this is the definition of getting more “bang for your buck”. * Coleman has made this bag with 100% polyester filling and lining. This makes it an ideal choice for any allergic or vegan consumers. Related: The LE Headlamp LED is waterproof and can come in handy during your hike. Description: Sierra Designs has made a wonderful wearable mummy sleeping bag. The Sierra Designs DriDown comes in at a little over 2 pounds for either size, and can be worn around the campground with very little effort. The arm openings have no zippers or hooks and are easily accessible by poking your arms out. When inside the bag there is no draft reported and the openings close the instant your arms are inside. Along with the arm openings, they have made the foot box easy to get out of the way so you can walk around the campground. Two other simple, but important, features of this bag are the garment style shoulders and the centralized zipper. These may not sound like much, but the garment style design allows the bag to rest on top of your shoulders, rather than your head. While walking around the 2 pound bag may begin to pain your head and neck if designed differently. Zippers that are in the middle of the sleeping bag make it more natural to close yourself inside. If a regular bag is too narrow to get on your side, a side zipper can be quite difficult to zip completely by yourself. This new location solves that problem in a snap. Sierra Designs have rated this bag with a 15 degree temperature rating. There is very little indication that it will not deliver at 15 degrees for the average man. Again, women and cold natured sleepers should expect a comfortable sleep at about 25 degrees. Along with all the other wonderful features, this bag compresses nicely into an 8 x 15 inch stuff sack. This will enable it to fit nicely into your backpack for the trip. Last quick note: This bag is made with DriDown technology. DriDown will dry faster than regular down and does stay drier for longer. However, it does affect down allergy sufferers. Mobile mummy 800 is a wonderful lightweight sleeping bag that is recommended by most consumers and an overall great investment. Related: Take a look at Therm-a-Rest Compressible Pillow which can be a great addition to your sleeping bag. 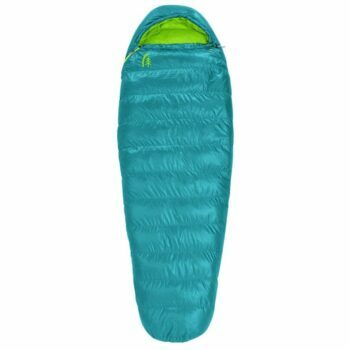 Description: Kelty has been known to create a great product and the Cosmic 550 is no different. This bag definitely delivers exactly what it says it will. Consumers have used this bag at temperatures across the board and have all been extremely satisfied. Women will need to keep in mind that they should use the bag at above 30 degrees to be comfortable. The DriDown technology allows the bag to remain drier for longer periods of time, as well as drying out faster than traditional down. Having down insulation also allows this bag to easily compress to a size of 8 x 15 inches. Kelty is a pretty straightforward company, with a straight forward design. Overall, this bag has excellent ratings and consumers agree that this bag will keep you warm and comfortable below freezing temperatures. If you would like a comfy and warm bag for a short hiking trip, then this might be a good choice for you. It is warm and comfy. Related: Dimples Excel Sleeping Bag Liner with Luxurious Space have been praised for being practical and useful accessories for sleeping bags. Take off, enjoy the world and sleep under the stars. 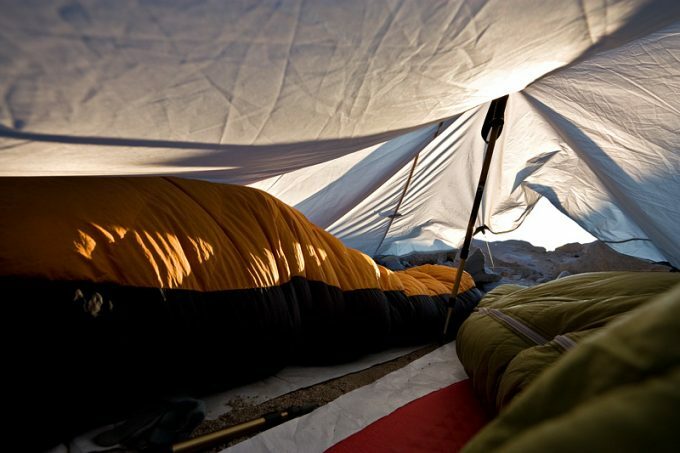 Whether you are car camping, or backpacking up a 100 mile trail, there are sleeping bags for every budget and climate. These companies are experts and have designed the best product possible, and you are able to examine and compare each one of them. 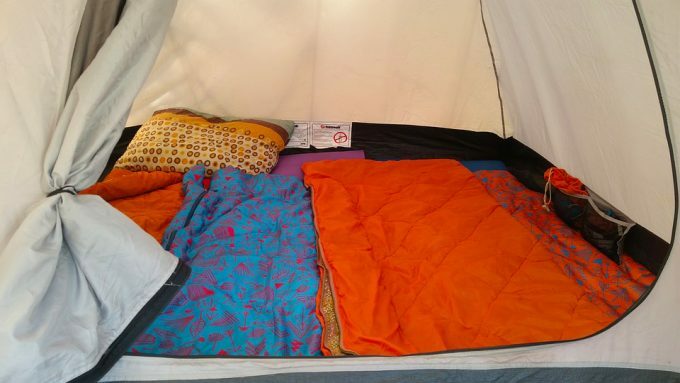 A good night’s sleep is imperative to any camping trip and must be a priority. Take your time and decide what is best for you and your style. Also, if you found our article helpful or have any questions, please feel free to comment below. We will be happy to help answer your questions to the best of our ability! Good luck, good night and sweet dreams! Best Hiking Watch: Keep Track of Everything!